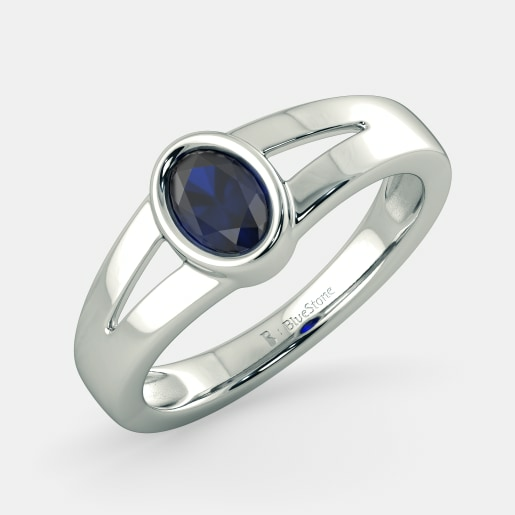 We all agree that women are quite fond of jewellery. But is it just women who are in love with gold jewellery? Fashion trends and history say otherwise. 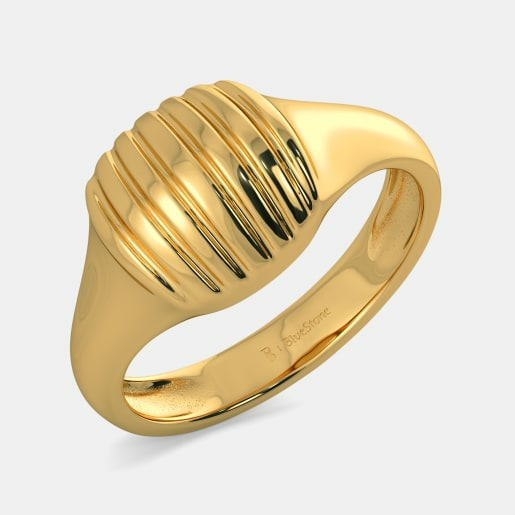 The menfolk of the modern world have taken a liking towards gold jewellery, rings to be specific. 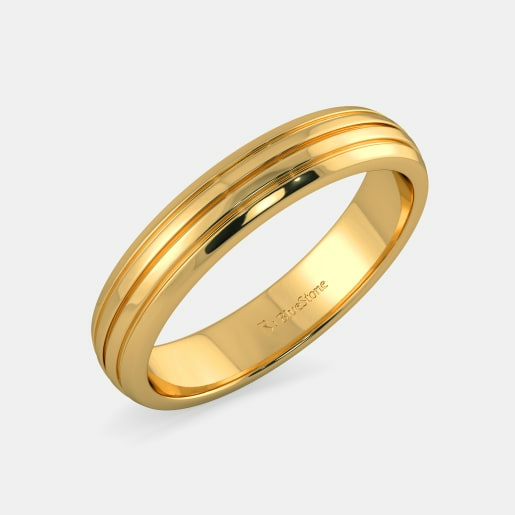 Today, men’s gold rings are considered an essential accessory. 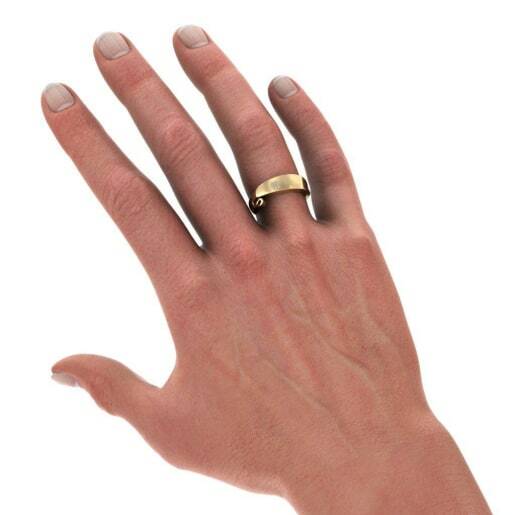 History shows that for men, rings were not just fashion accessories. For most of them, it was a symbol of power and a proof of their lineage. 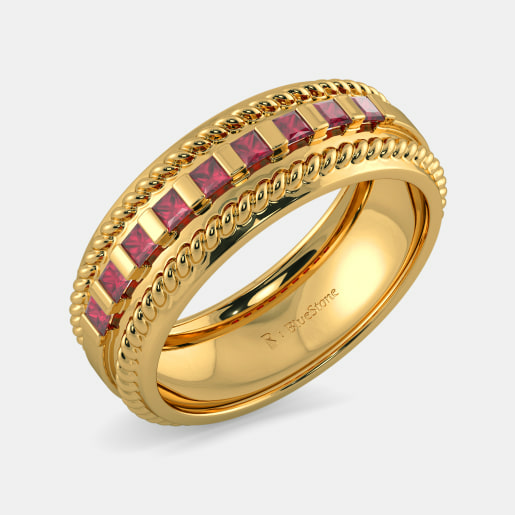 For instance, the Signet Rings or Gentlemen’s Ring, which were supposed to be around since people wore jewellery, bore a symbol of family heritage. In ancient times it was used by kings and religious leaders. 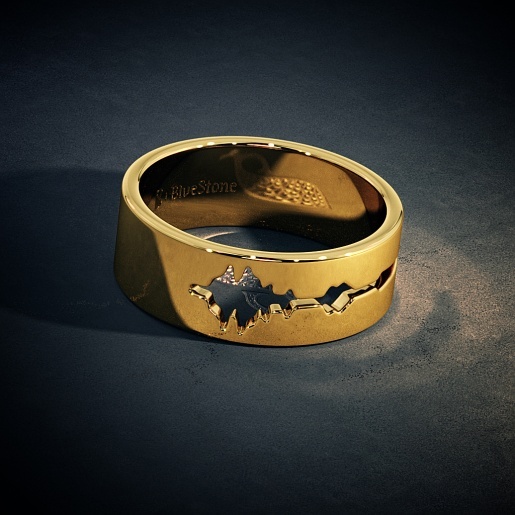 The ring was used as a personal seal or signature. 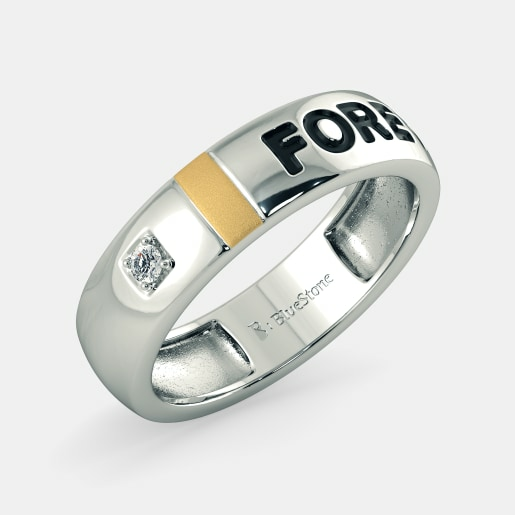 Though the days of noble men and royalties are over, Signet Rings are still popular with men. 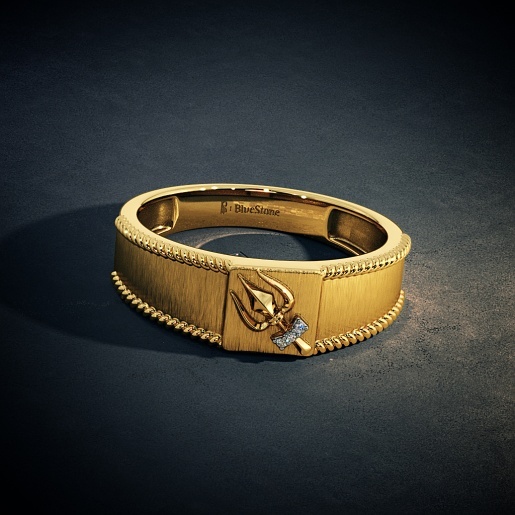 Gold Signet Rings with unique engravings are bought by men across the globe and they are seen as statement pieces even today. 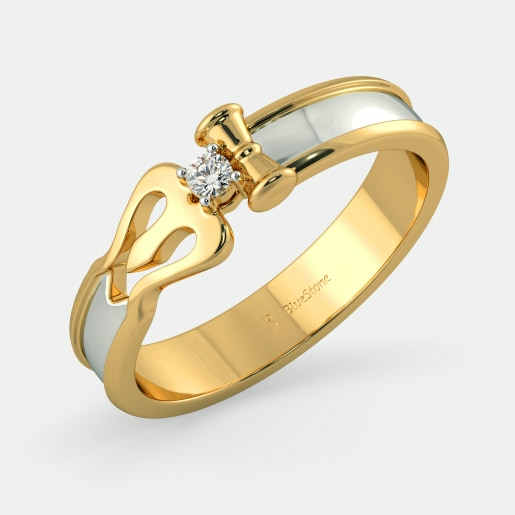 Online shopping is a boon to men who hate shop-hopping in search of the perfect gold ring or any such accessories. Today, with the click of a button, you can visit jewellery stores online and buy accessories that you love in a hassle-free manner. 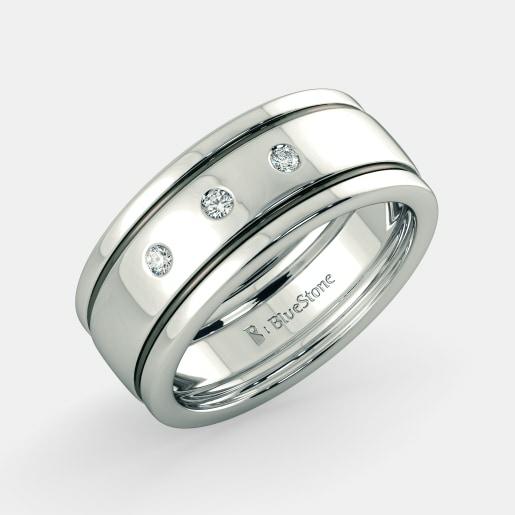 To make men’s lives easier, we at BlueStone bring to you a compressive array of men’s jewellery including gold rings. 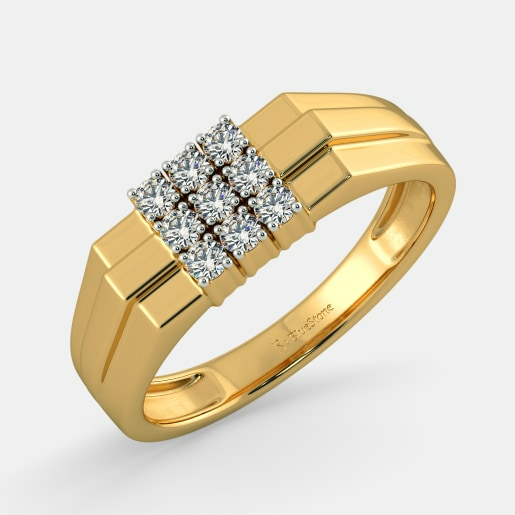 All you need to do is open your laptop, sit on a couch, browse through our collection and buy men's gold ring designs online. 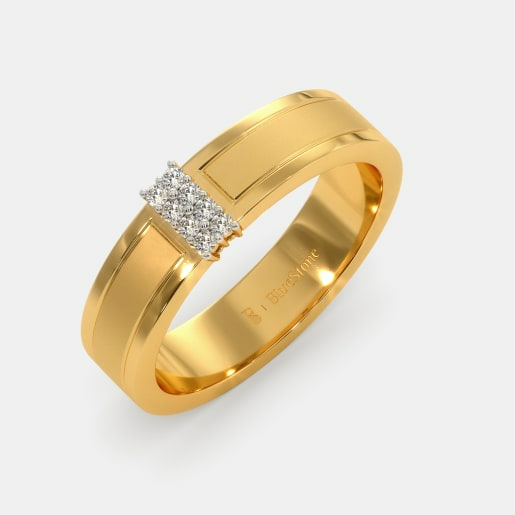 Our men’s gold ring design collection, which includes gold rings embedded with precious stones, is ever increasing to make sure that you get everything at one place. 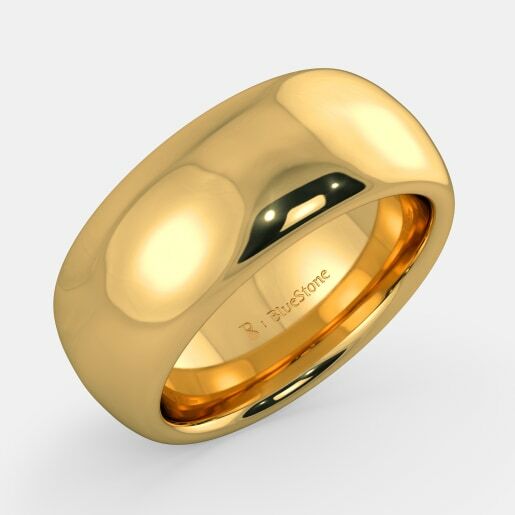 We have an exquisite display of men’s gold ring designs. Browse through the collection and we are sure that you will take an instant liking to the Marvel Ring. 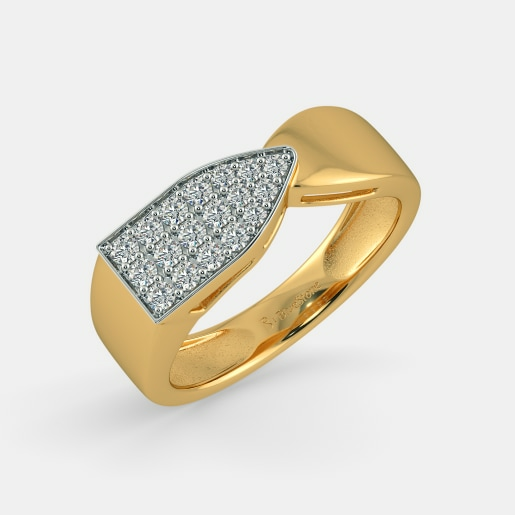 We suggest you bag it right away and let the world marvel at your most prized asset - a diamond studded ring made of 18kt gold. If you are someone who lives your life king size, go for the Robust Noble Ring. 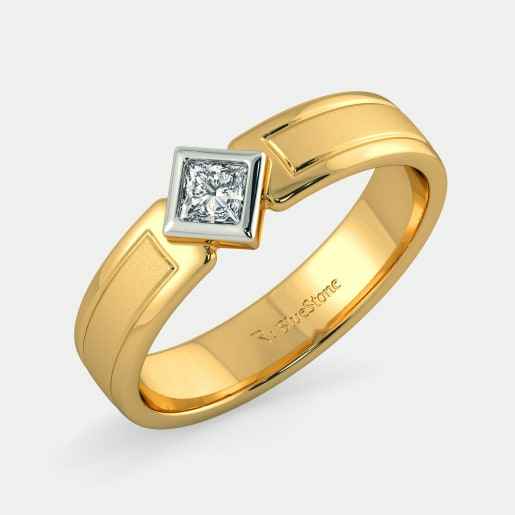 The ring is made of 18kt gold with diamonds on it. For a pious man, there isn’t a better way to show your devotion to Lord Ganesha than adorning yourself with the Ganesha Benevolence Ring. 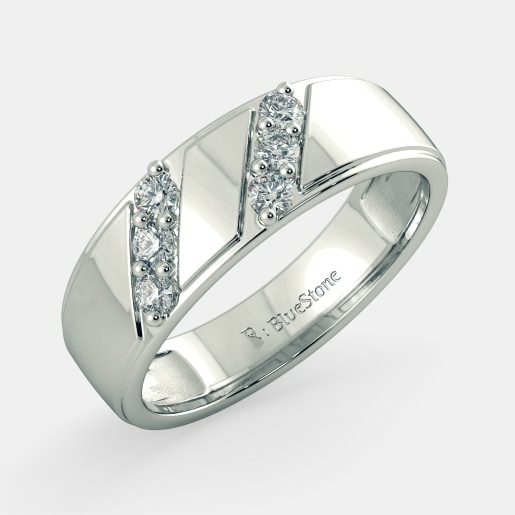 At BlueStone, we have designed a special collection for your engagement day. 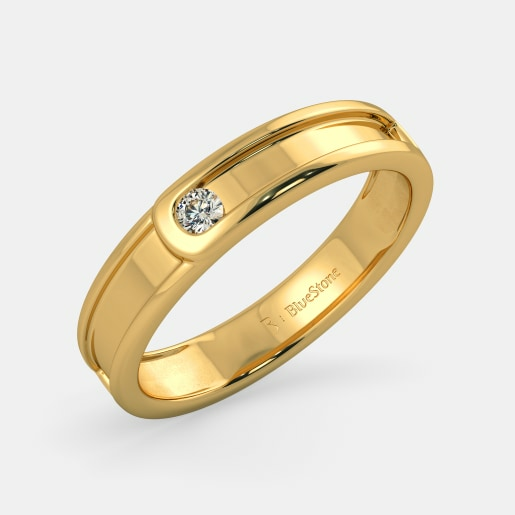 Be sure to shop online for gold engagement rings with your bride-to-be. There is a wide range of options to choose from and you may want her help to zero down on the best. 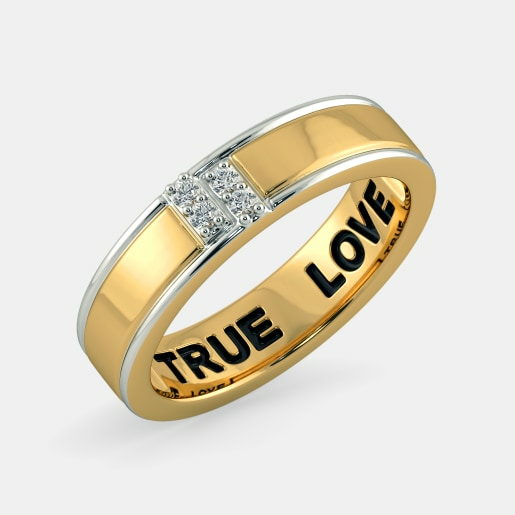 A gold engagement ring that you can consider buying is the True Love Band for Him, which is designed in 22kt gold. 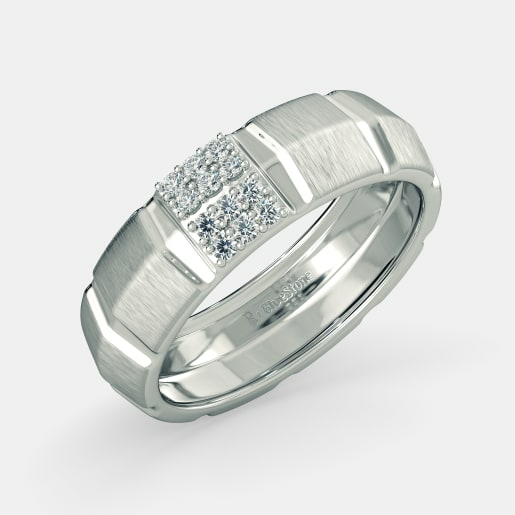 You can also choose the Quest Ring and a large size diamond is placed on the top of this ring giving it a sophisticated look. 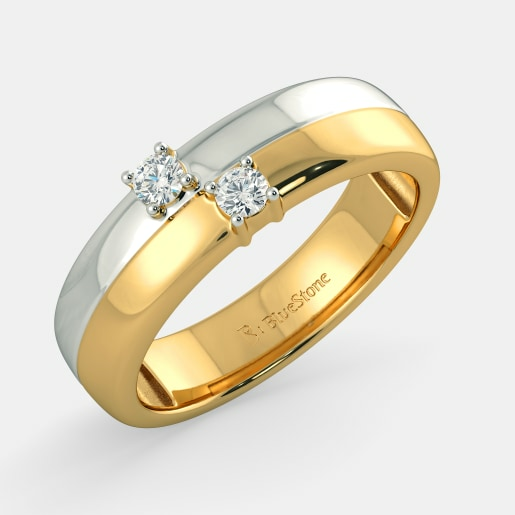 Our gold engagement ring collection also includes the Destiny Ring, the Francesco Ring and the Apollo Ring for Him. 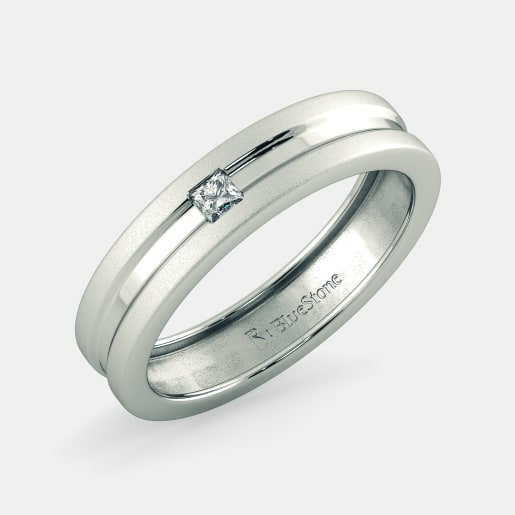 These rings are embedded with diamonds. 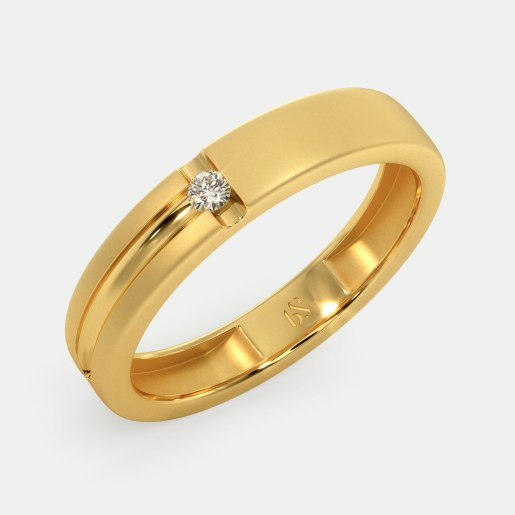 Other popular gold ring designs for men include rings like the Soul Mate Ring for Him, the Circe Ring for Him, the Modern Royalty Ring, the Victor Ring and the Orar Ring. When it comes to offering the best deals, we are second to none. 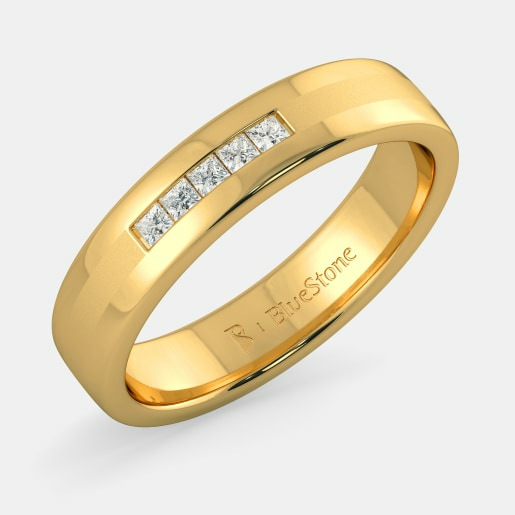 Our men's gold rings price is reasonable and affordable. Explore the site, we have more items for men than the ones mentioned above. 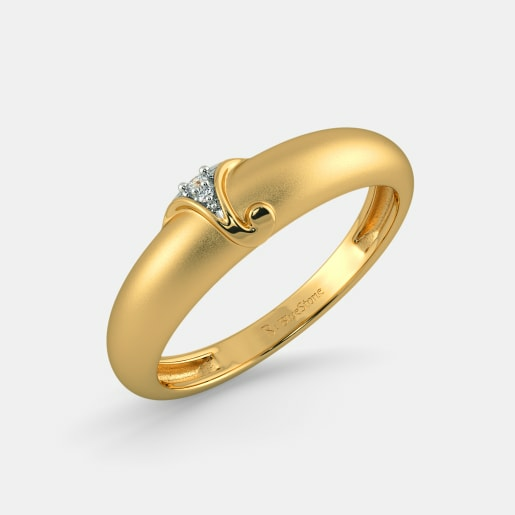 We wish you a less boring and fun filled shopping experience and hope that you will find the perfect gold ring that reflects your personality and style.